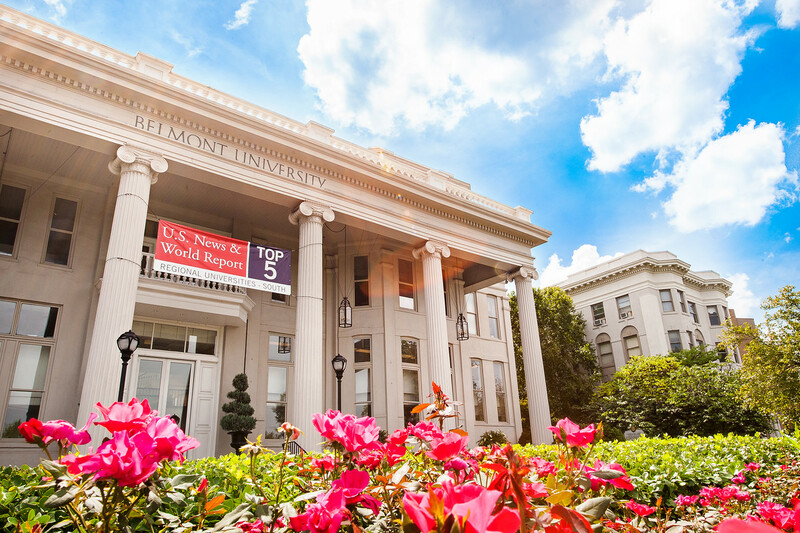 For the ninth consecutive year, Belmont University has again achieved a Top 10 regional ranking with today’s release of U.S. News & World Report’s 2018 edition of America’s Best Colleges, this year ranking at an impressive No. 5 and remaining the highest ranked university in Tennessee in this category. Moreover, Belmont won the praise of its peers as it was included on a number of additional U.S. News lists that rate institutions on areas critical to student opportunities and success. Strong Commitment to Undergraduate Teaching (No. 4 in the South): The strong commitment to undergraduate teaching ranking is determined via a survey of peer institutions, who cite their fellow institutions who best reflect that quality. Best Colleges for Veterans (No. 3 in the South): To be included, institutions must be ranked in the top half of their overall category, be certified for the GI Bill and participate in the Yellow Ribbon Program with 20 or more veterans/active service members enrolled. Best Value (one of only 64 institutions recognized in the South): The listing takes into account a school’s academic quality and net cost of attendance for a student who received the average level of need-based financial aid. The higher the quality of the program and the lower the cost, the better the deal. Internships (one of only 20 institutions recognized in the nation): Schools in this category encourage students to apply what they’re learning in the classroom to work in the real world through closely supervised internships or practicums. Learning Communities (one of only 18 institutions recognized in the nation): In these communities, students typically take two or more linked courses as a group and get to know one another and their professors well. Service-Learning (one of only 23 institutions recognized in the nation): Required volunteer work in the community is an instructional strategy in these programs—what’s learned in the field bolsters what happens in class and vice versa. The U.S. News analysis places Belmont in a premier position among the 135 public and private institutions included in the South region, an area that covers Tennessee, Virginia, West Virginia, North Carolina, South Carolina, Georgia, Alabama, Florida, Kentucky, Arkansas, Mississippi and Louisiana.